When it comes to developing apps, the user experience is vital. It’s one of the core aspects of an app that can set it apart from the competition. With thousands of apps launched daily, developers want to make sure they stand out by giving users the best experience possible. Unfortunately, bugs present a challenge that cause the downfall of many apps. Google Play does not tolerate buggy apps, and if Google notices users frequently leaving negative reviews about an app’s performance, they will make sure to hide it from users. 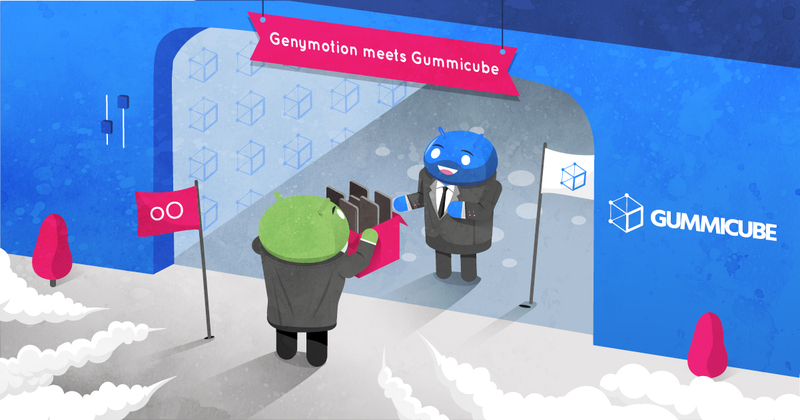 Fortunately with Genymotion, it is possible to prevent this from happening. When it comes to the user experience, bugs are always bad. They tend to ruin the user experience and can lead users to uninstall apps. Even worse, if too many app crashes, application-not-responding (ANRs) or uninstalls accrue, Google Play will take away that app’s keyword rankings to ensure users don’t download a buggy app. One less buggy app is great for users, but it means loss of discoverability for that particular app, as well as overall installs. Before launching an app or new update, it’s important to ensure that the build does not contain performance issues or major bugs. Otherwise a company’s App Store Optimization (ASO) strategy can be ruined. When poor performance, negative reviews and uninstalls rise, Google Play starts flagging the underperforming app, causing it to fall back in rankings. Click-through-rate and daily installs start suffering as visibility falls more and more. This then leads the app to become increasingly irrelevant which causes a further loss in rankings. Eventually, Google Play may deem the app as so irrelevant due to poor user experience, that the app can lose its ranking completely for a given keyword. Through App Store Optimization, developers can work to counteract this negative trend and improve their rankings by targeting additional keywords to expand their keyword reach. However, if an app is receiving too many uninstalls, ANRs or crashes, then its ASO efforts can be negated. It is important that developers ensure their apps are bug-free before they are launched or updated. This is where Genymotion is able to help developers. 1. It saves large amounts of time as developers are able to sniff out bugs much quicker and thus resolve them faster. 2. It allows developers to stress test their apps and understand how performance changes, as well as whether or not servers are able to handle a large influx of traffic. It’s important to thoroughly test an app, because once a build goes live, it is open season. When a bug appears, developers need to resolve it quickly before it leads to a bad user experience, and ultimately damages the efforts accomplished by ASO. With Genymotion, developers are able to weed out bugs before a build goes live, ensuring the user experience is kept safe. By using Genymotion, developers are able to focus on creating a great app, and not be tied down with constant bug fixes and repeated testing.